Aside for developments in displays, one of the serious pushes we’re seeing in 2017 flagships comes from the camera, with dual-lens zoom the big deal at the moment. Oppo’s take, however, is a little different than the rest. What’s the one thing the Apple iPhone 7 Plus, the HTC One M8, and the LG G5 (and G6) have in common aside for all being 4G smartphones? Two lenses for two distinct views. Two specific camera modules has been a crazy idea in smartphones ever since HTC started dabbling with the idea of a dual-camera system back in 2014, and now three years later, everyone is jumping on board. We saw LG add the technology to its G5 last year, as well as Huawei which had a different take using the two cameras for different colour sensors in the P9 and Mate 9 instead of the two focal lengths. Apple, meanwhile, took the approach of the rest with the focal length differences, and easily had the smoothest jump between standard cameras and that of a close-up telephoto lens, as seen in the iPhone 7 Plus. And this year, you can expect to see more as companies dabble in improving the camera to make it the must have critical feature that decides if you’ll spend big with them. Growing brand Oppo is investing big in this area too, and this year plans to bring a take on the close camera technology with a spin on the idea in a slightly different way. While Oppo’s latest technology will have two cameras, one of the cameras will work a little like a periscope, bouncing light using internal lenses and a small prism to account for a level of zoom. 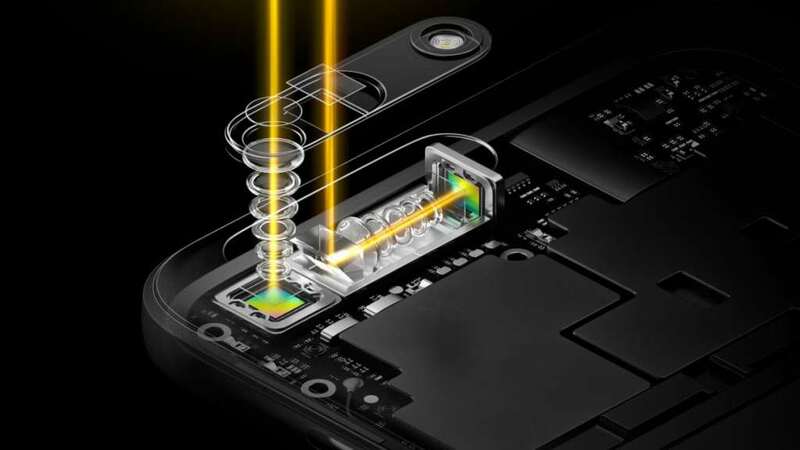 Oppo is calling the technology “5X Dual-Camera Zoom”, and will even have a version of optical image stabilisation that works in tandem with the concept, stabilising not just the internal lenses themselves, but the prism changing the direction of the light, keeping vibrations down so imagery and video can remain still. Technically, the two cameras will work as wide and telephoto, the periscope camera acting as telephoto, effectively making up 1X to 3X, but to get that “5X” Oppo mentions, the company will rely on a proprietary image technology for improved digital zoom. “We are definitely putting a stake in the ground in terms of technological breakthroughs for mobile photography,” said Sky Li, Vice President and Managing Director of Oppo’s International Mobile Business. “The dual cameras with wide-angled and telephoto lens, together with the periscope-style construction, our image fusion technology and the Optical Image Stabilisation, edges mobile photography even closer to what digital cameras are capable of doing. Our 5x Dual-Camera Zoom will again set yet another technological standard that others will emulate,” said Li. Oppo says more than 50 patents have been filed for the technology being used in the 5X camera zoom concept, and while it’s a new idea in a smartphone, the company has managed to keep the size down, with the whole module of two cameras and the periscope lens construction measuring 5.7mm thick, easily thin enough to keep in a body that measures as thin as what is currently available on market. Unfortunately, no phone has been listed to receive the technology first, because while Oppo used Mobile World Congress in Spain to talk about the technology, no phone using the concept has been announced. We’ll just have to wait to see what flagship Oppo plans to show off later in the year.